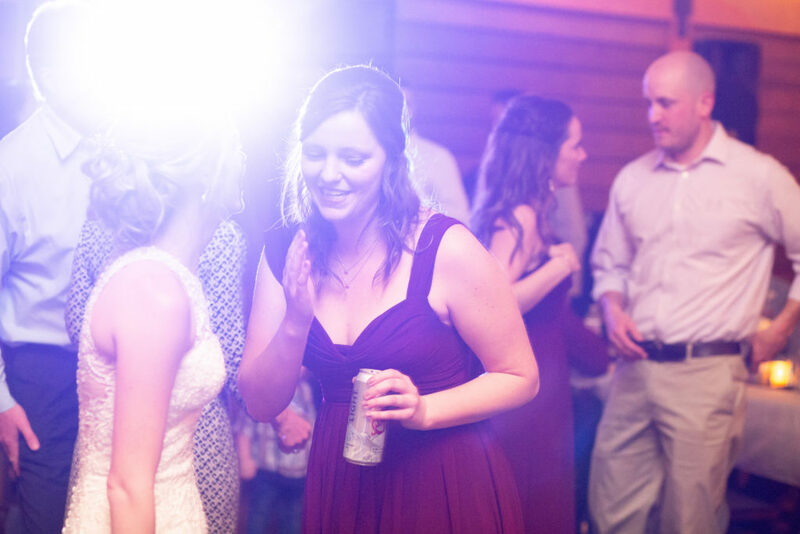 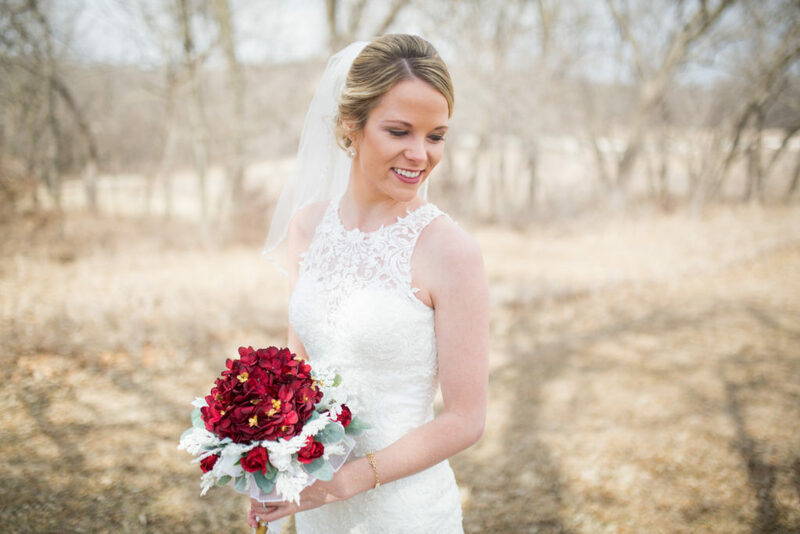 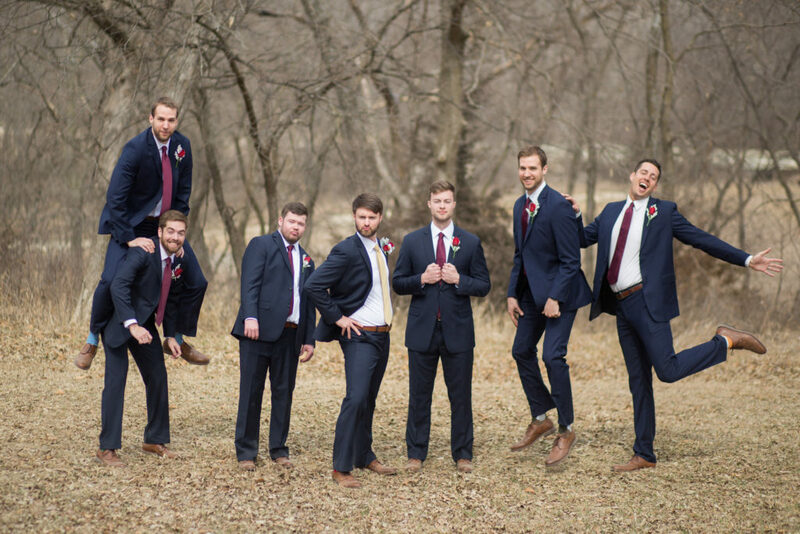 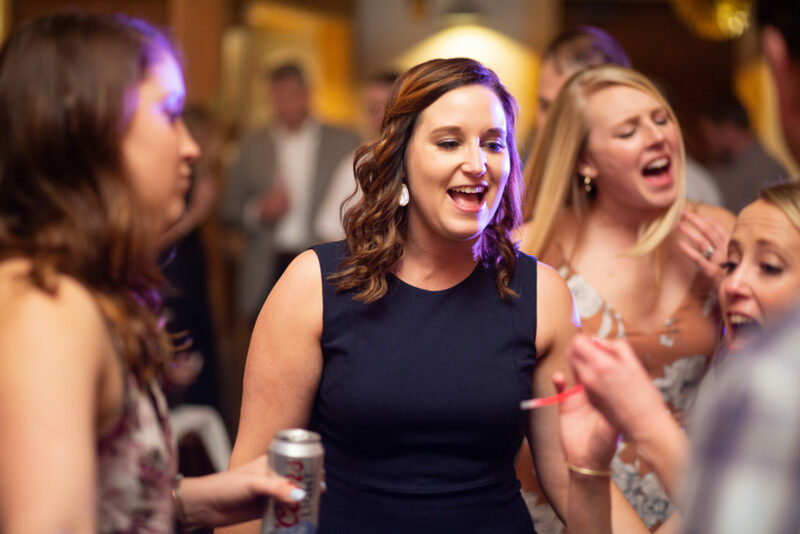 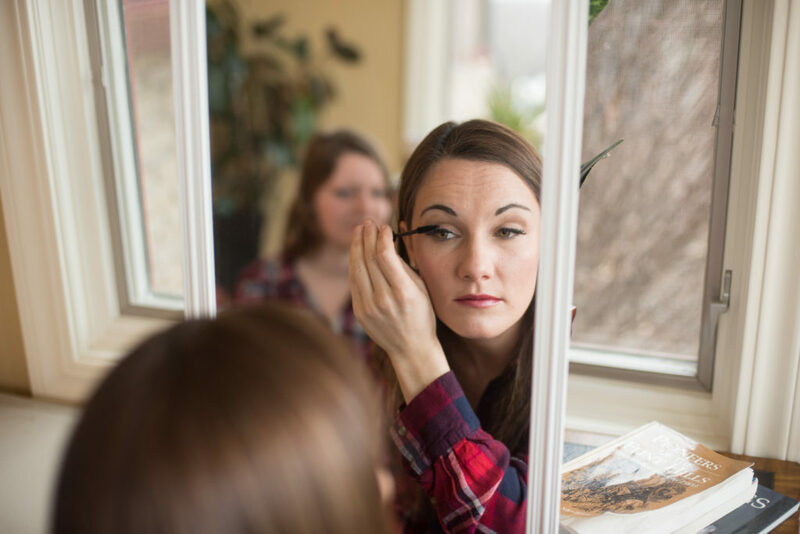 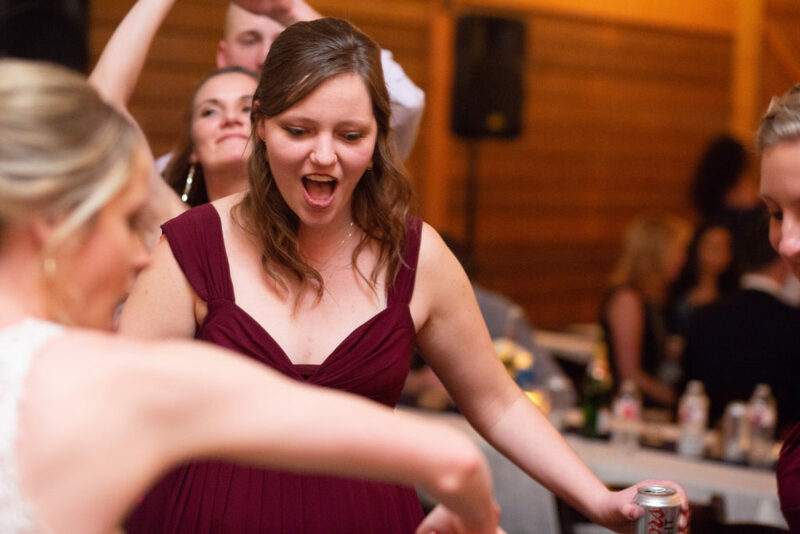 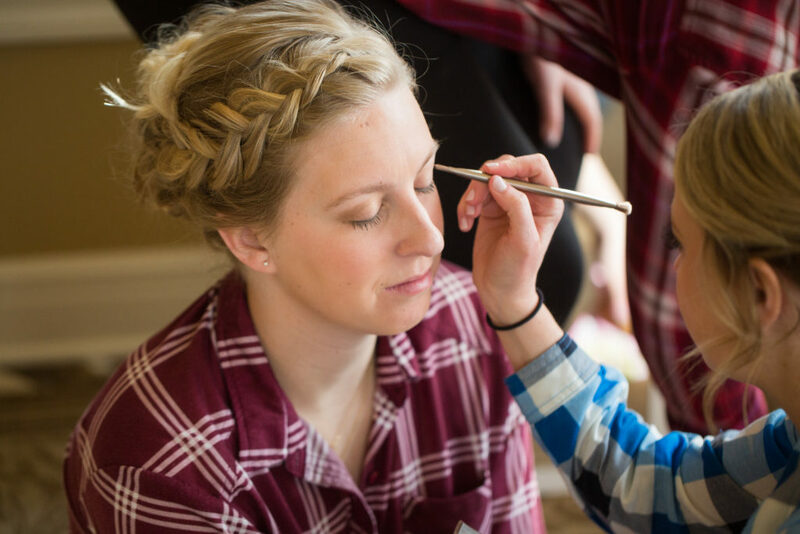 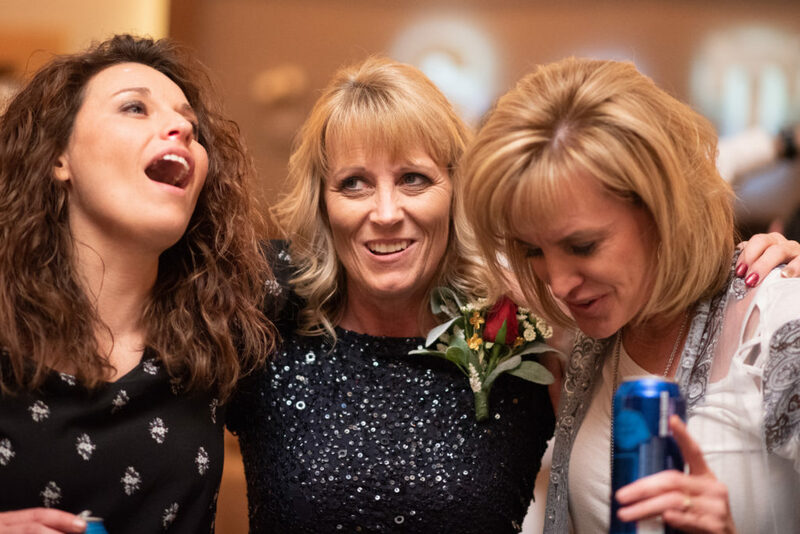 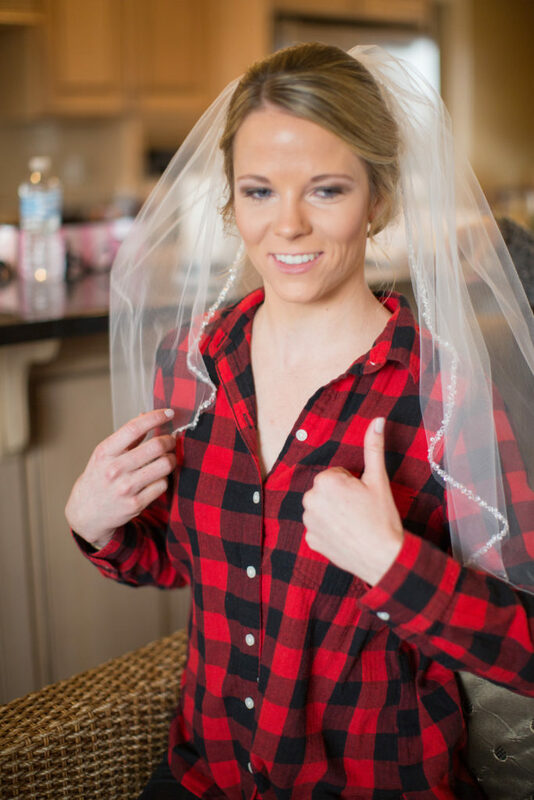 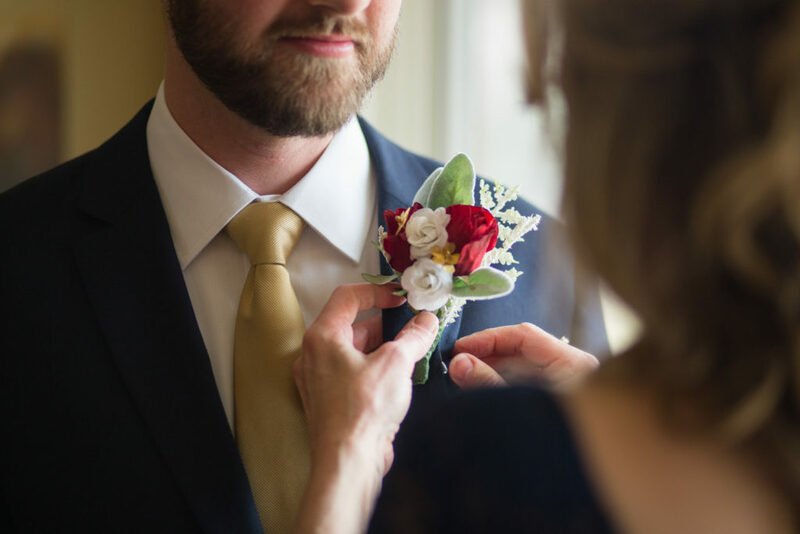 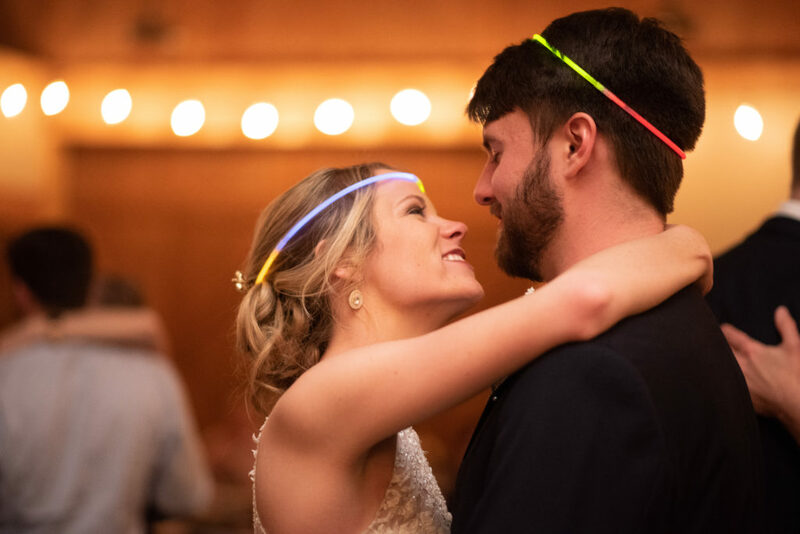 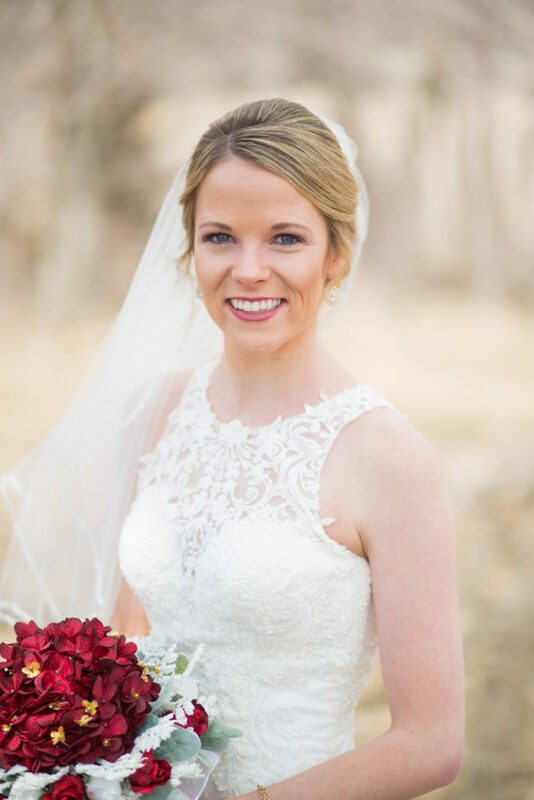 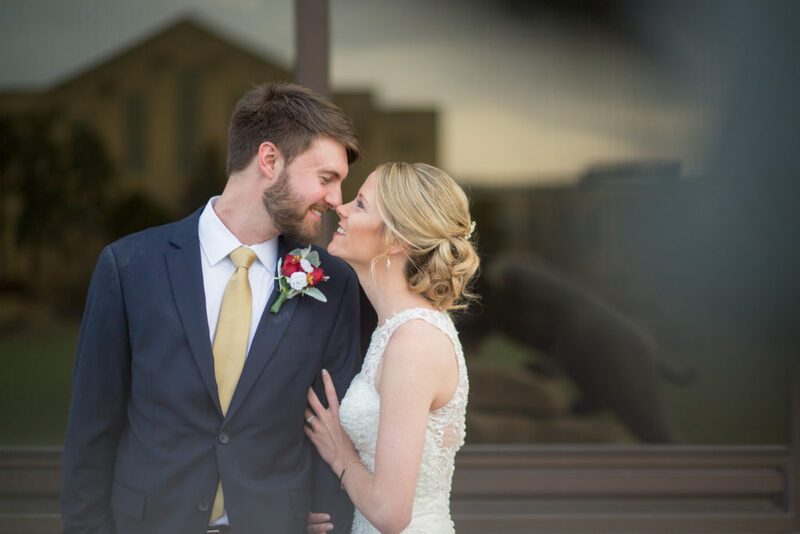 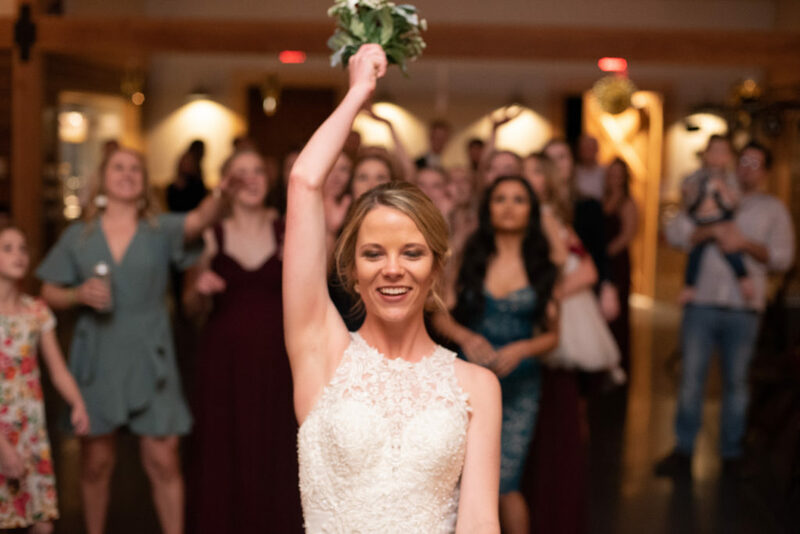 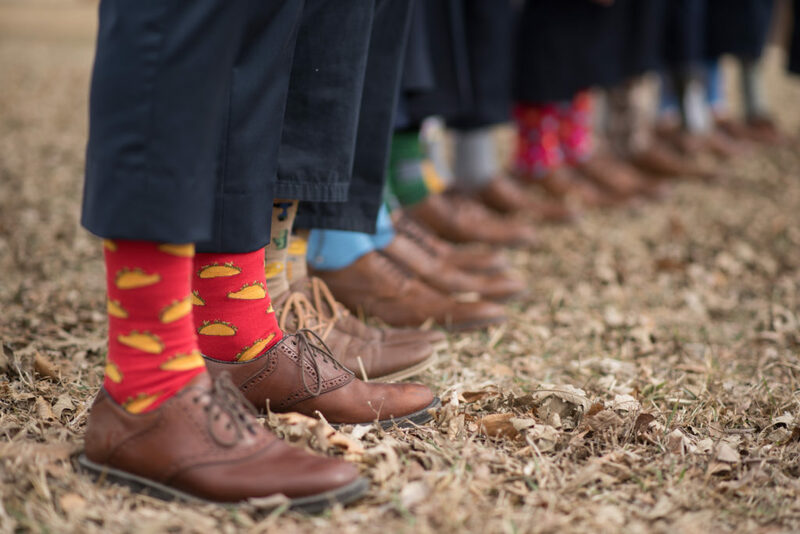 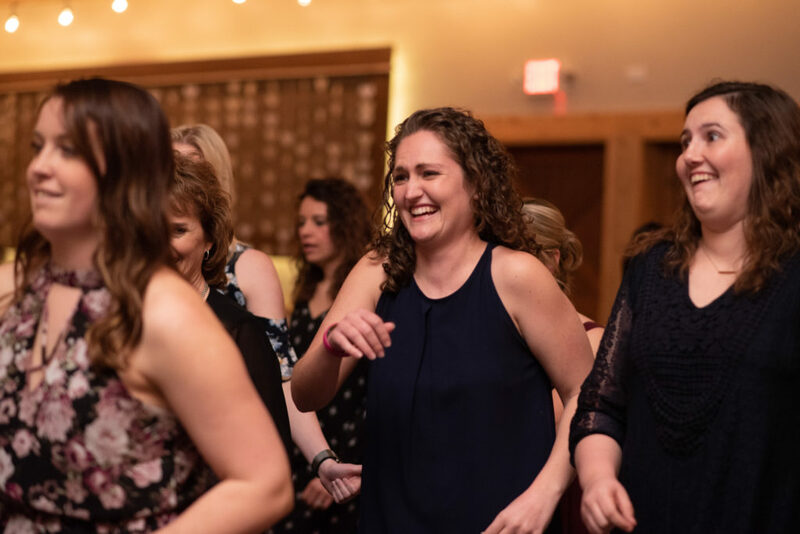 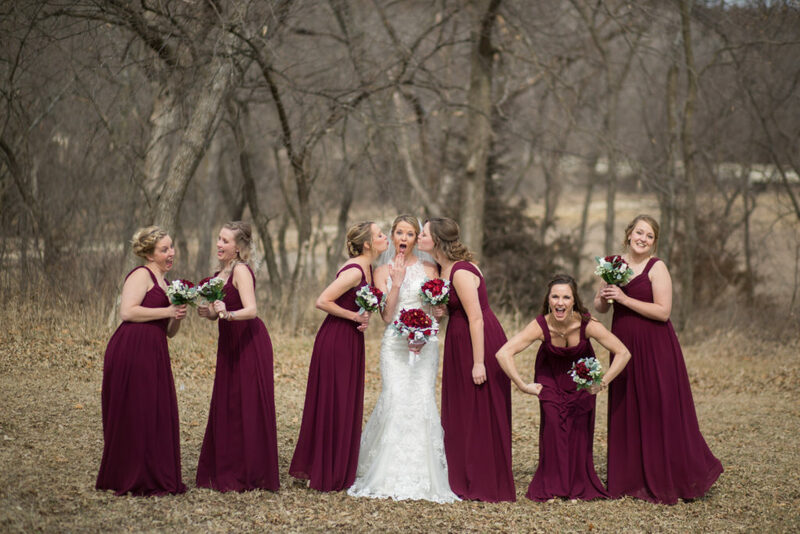 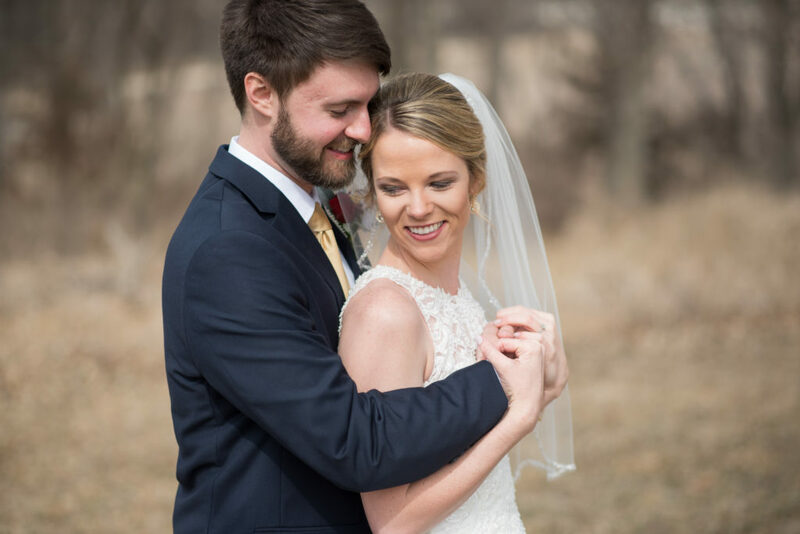 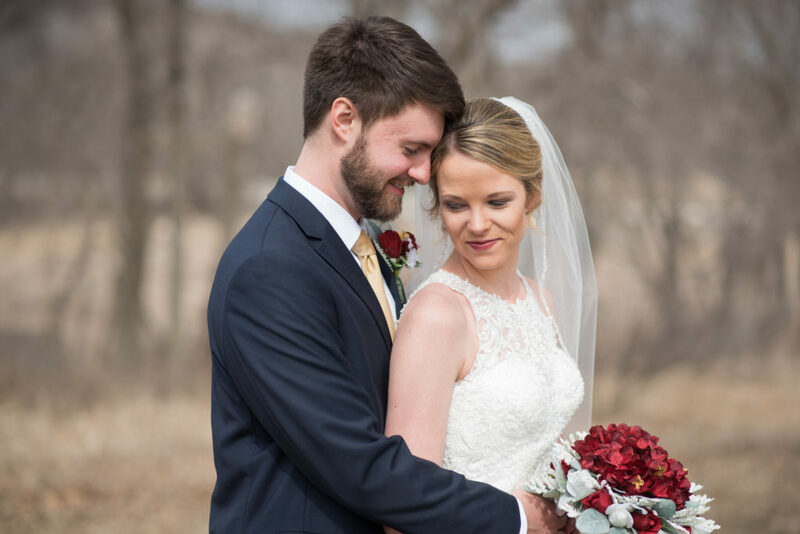 Taylor and Shelby’s Prairiewood wedding was right out of a storybook – which was fitting, considering the fairytale qualities of their relationship and engagement. 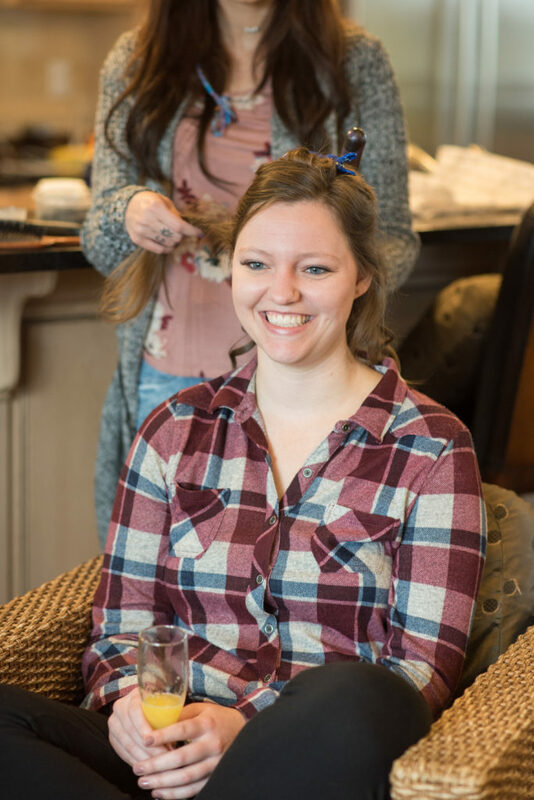 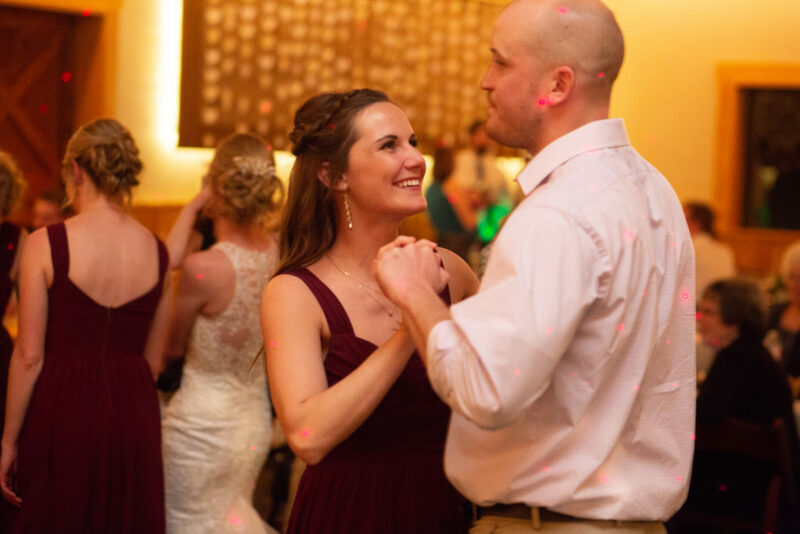 Taylor, from Manhattan, Kansas, and Shelby, from Topeka, Kansas, both attended Kansas State University, but only met because Shelby’s older sister, Stephanie, was a biology major alongside Taylor. 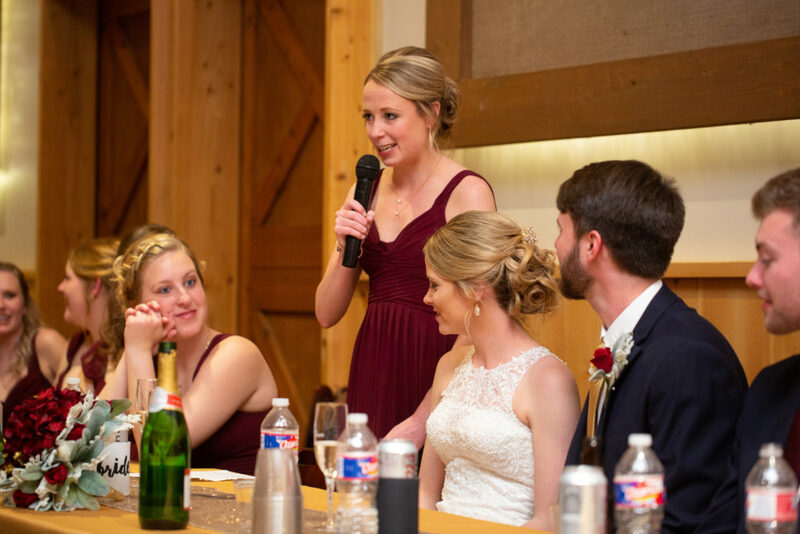 Eventually, Stephanie introduced Shelby to her new friend, and when Shelby needed a date to an upcoming wedding, she knew just who to ask. 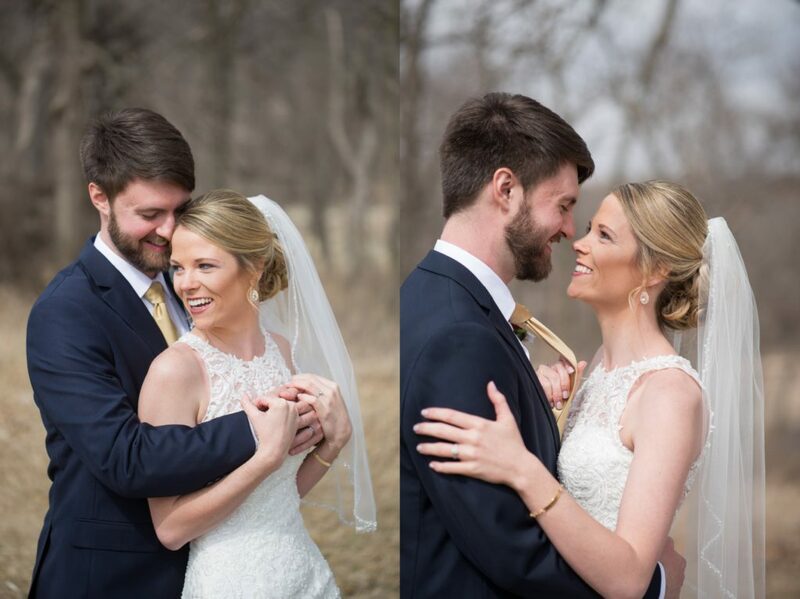 Taylor and Shelby have been together ever since. 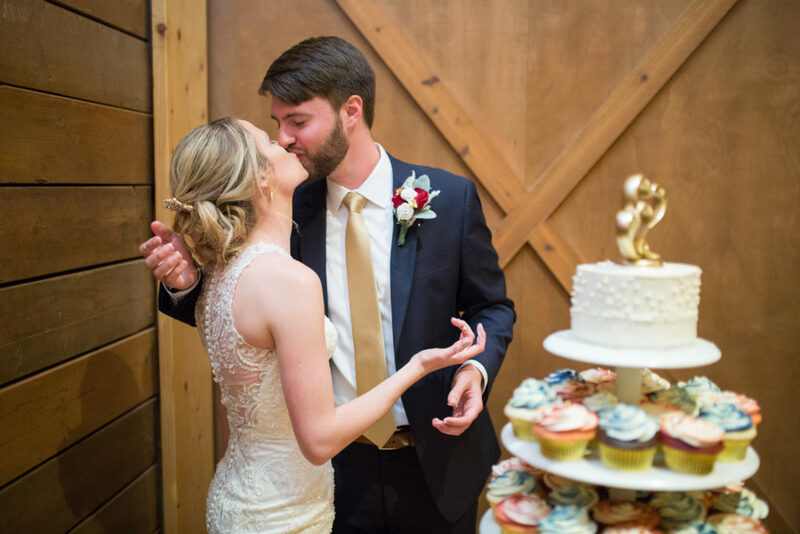 They maintained a long-distance relationship for two years. 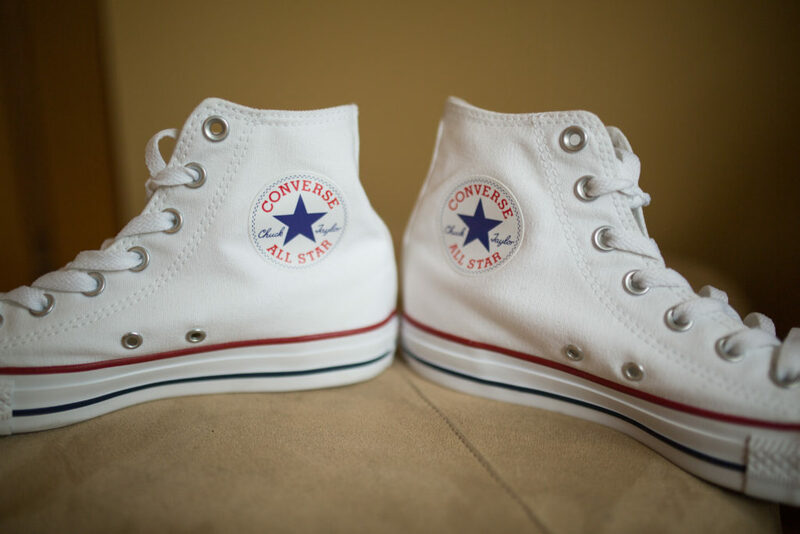 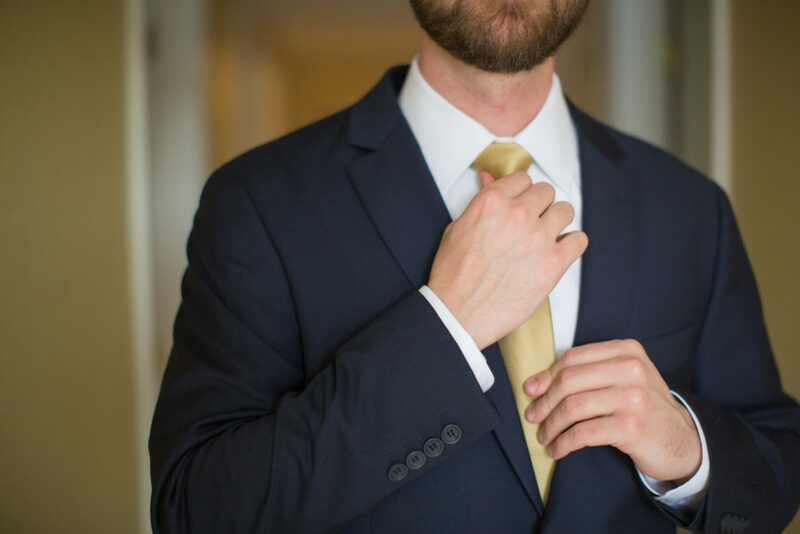 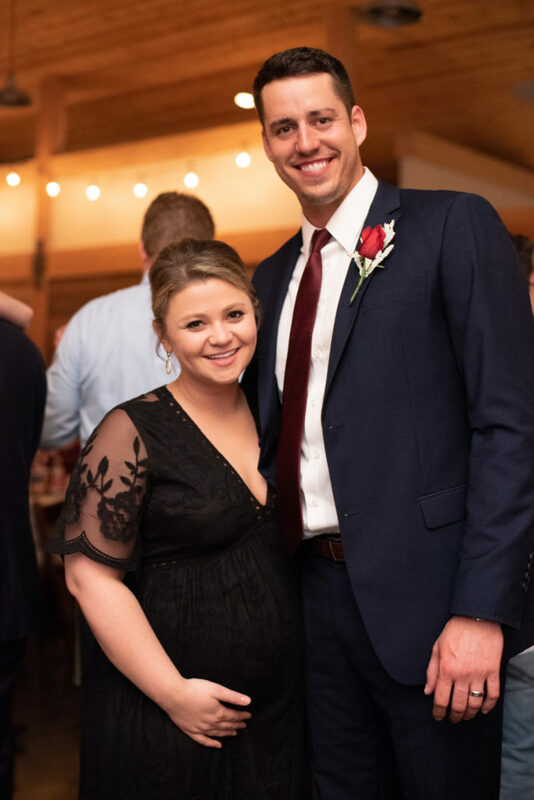 After Taylor graduated from K-State, he was accepted to medical school at the University of Kansas in Kansas City, Kansas, while Shelby continued to live in Manhattan and attend K-State. 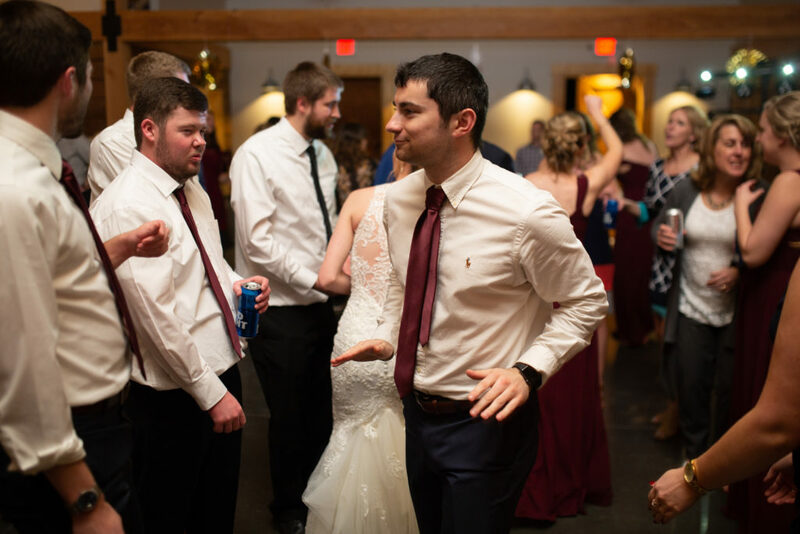 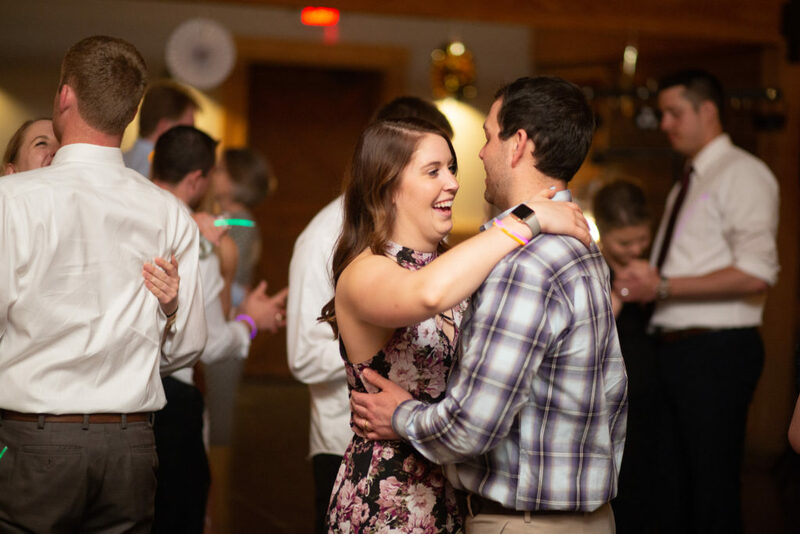 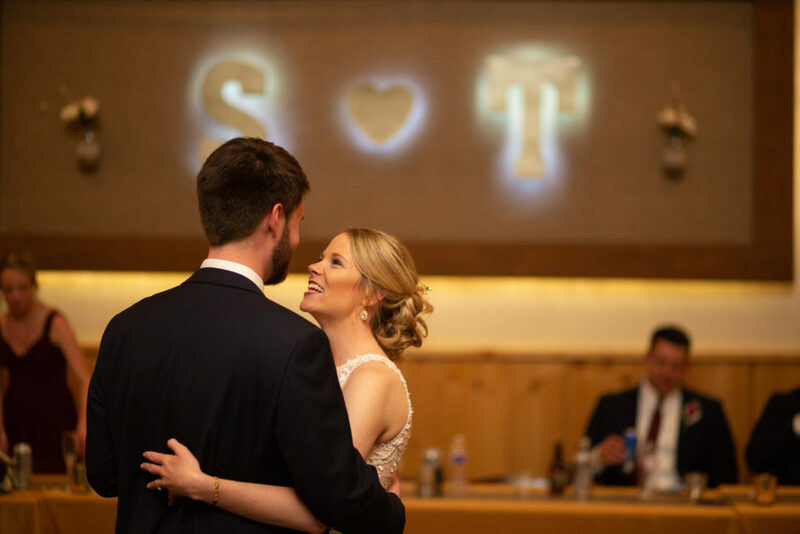 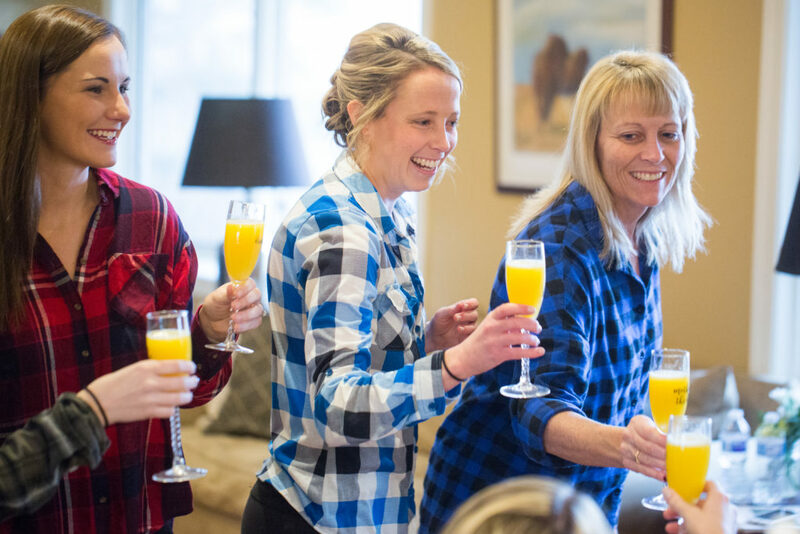 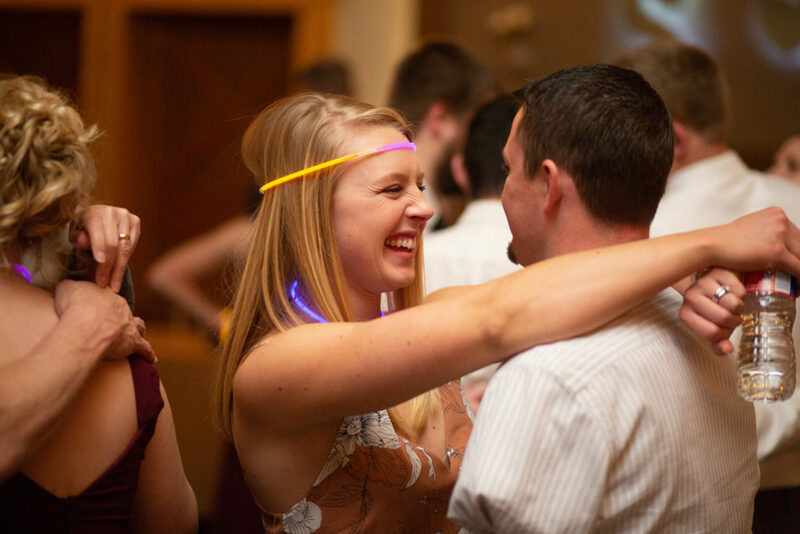 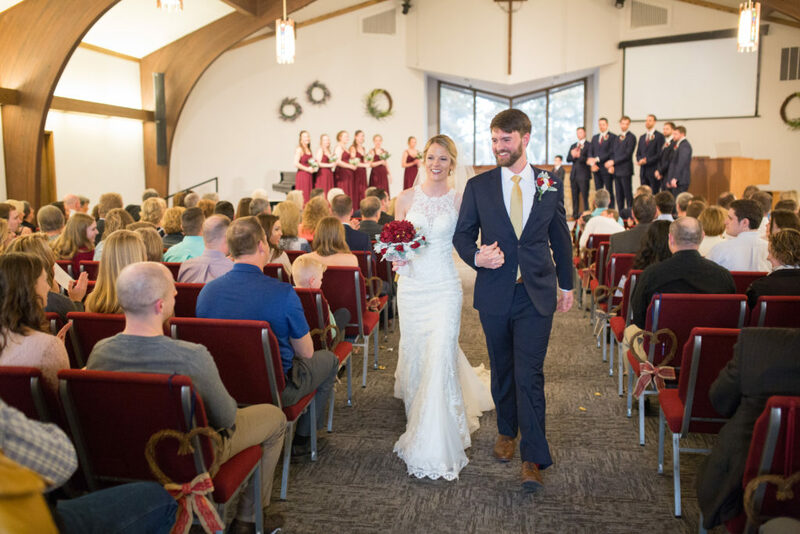 They were both thrilled to spend more time together when Taylor finished his last two years of medical school at KU’s Wichita, Kansas, campus, and Shelby transferred to Newman University – also in Wichita – to earn a bachelor’s degree in sonography. 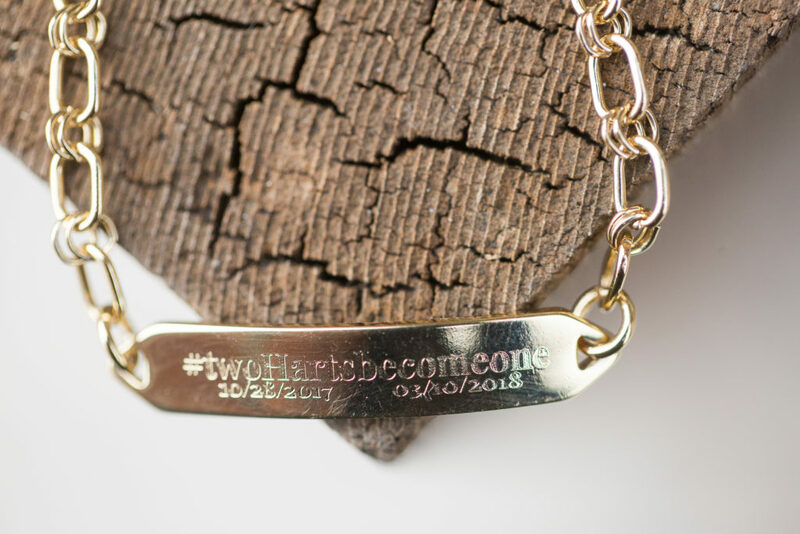 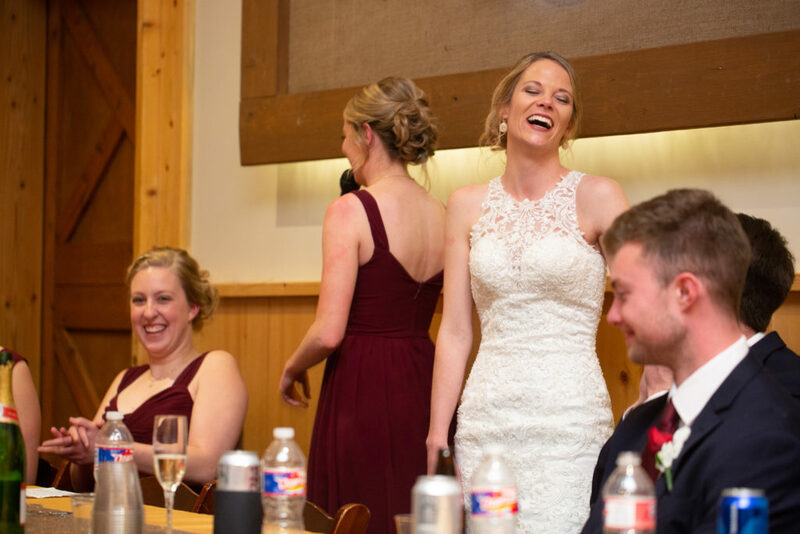 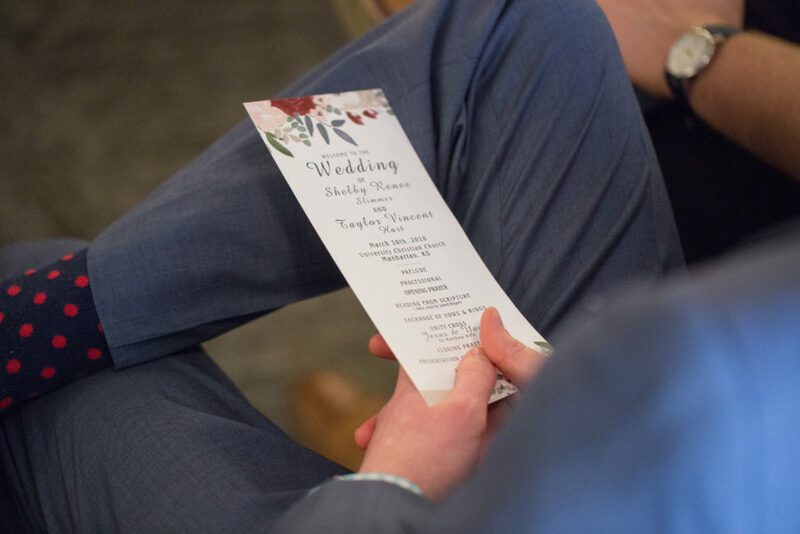 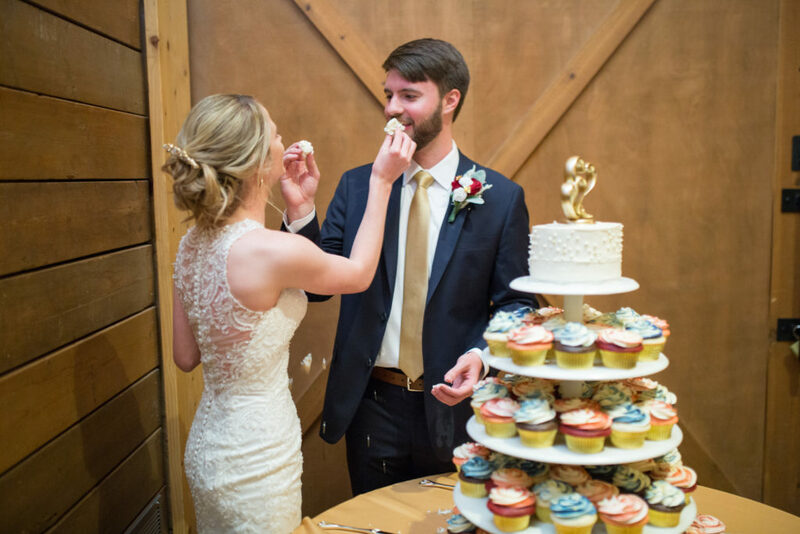 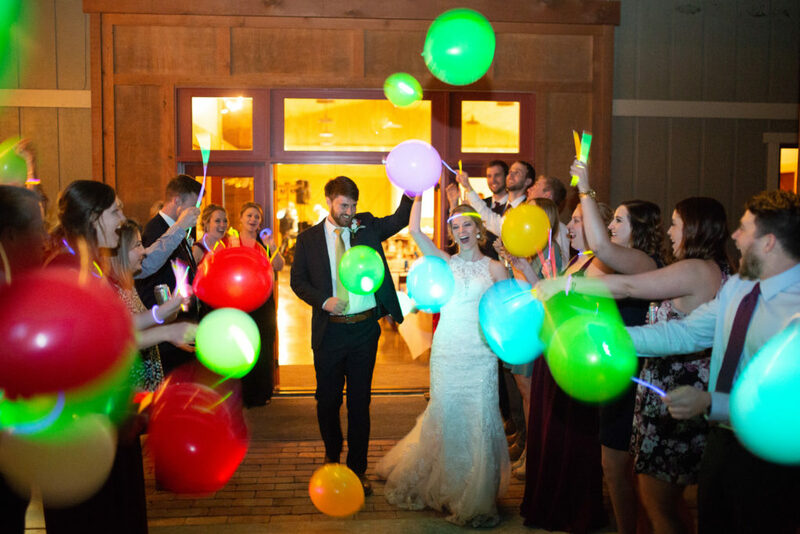 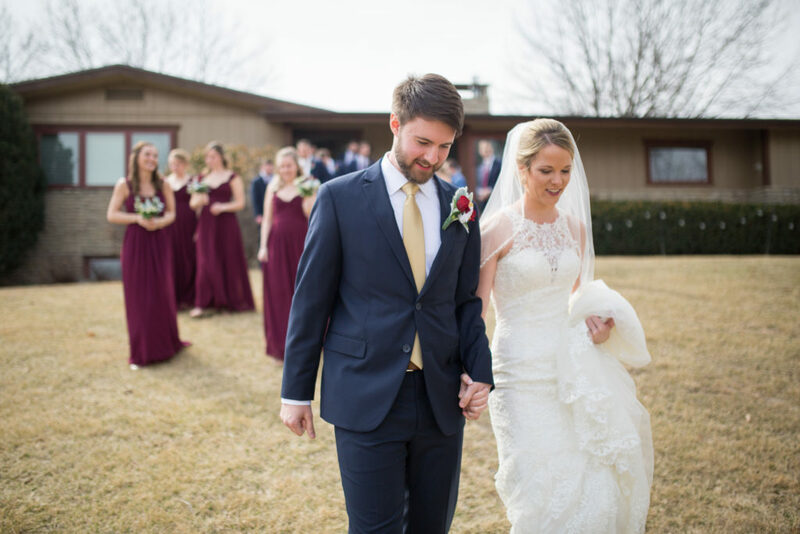 The couple’s happily ever after began when the two visited Taylor’s parents for a weekend in Manhattan, and scheduled dinner with an old friend while they were in town. 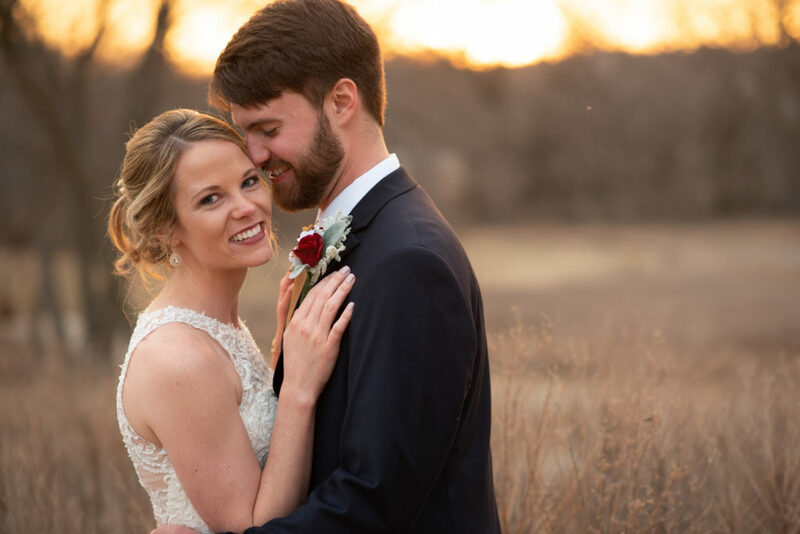 Taylor received a call from the friend saying his truck has broken down at the Konza Prairie scenic overlook on Highway 177, so they dutifully drove out there to help. 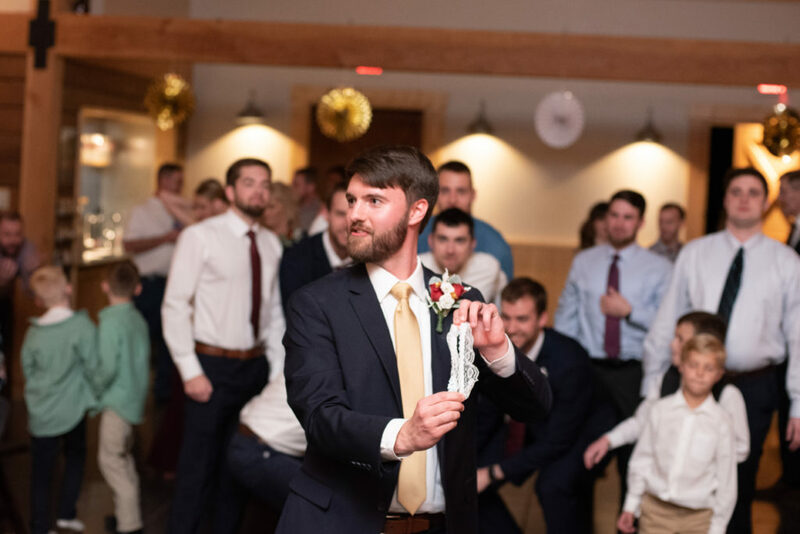 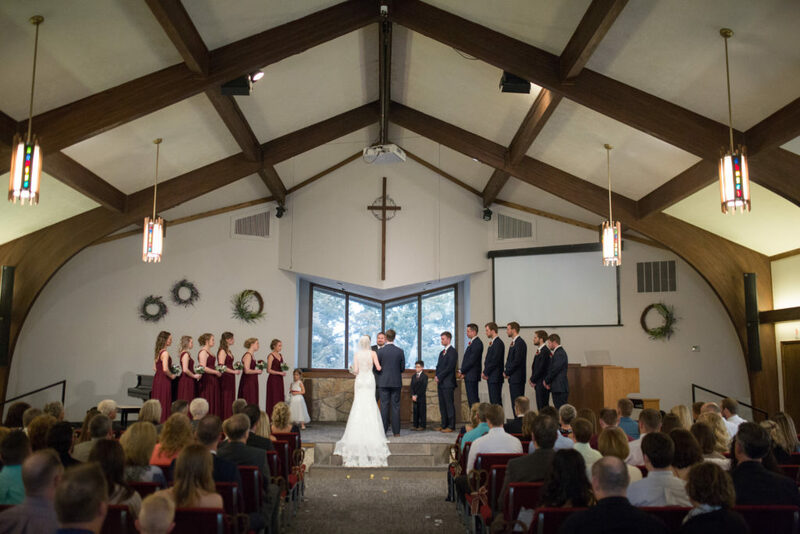 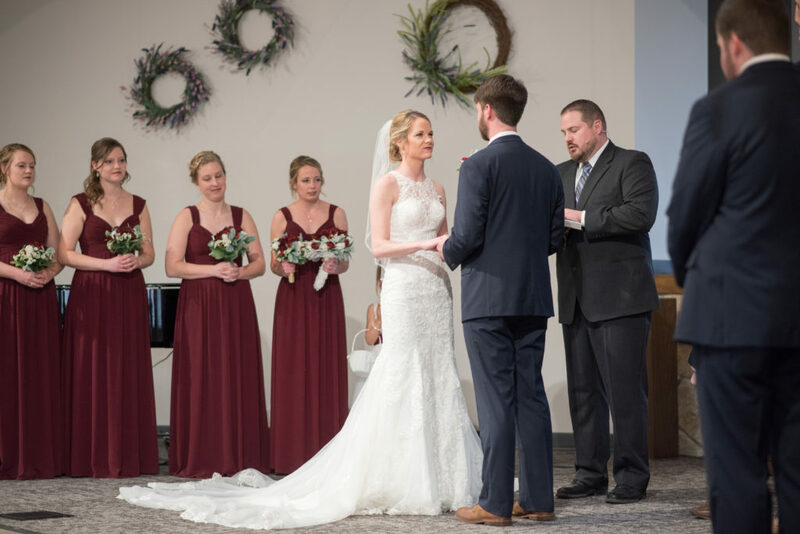 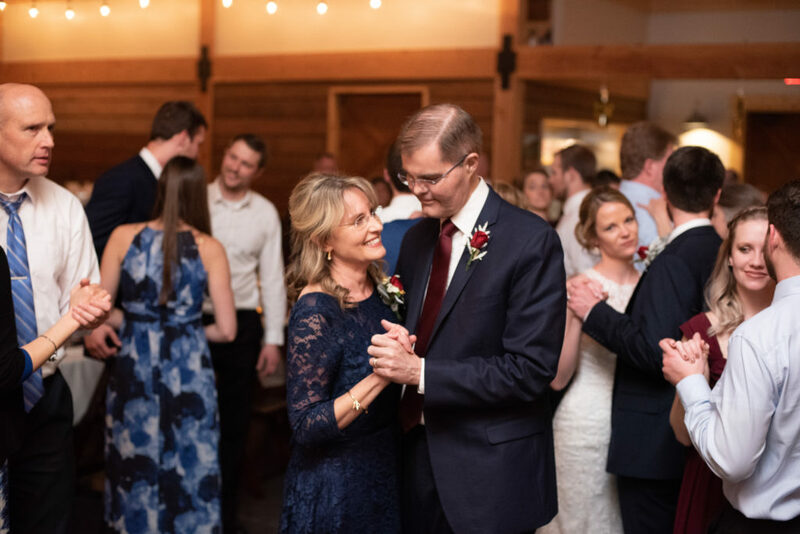 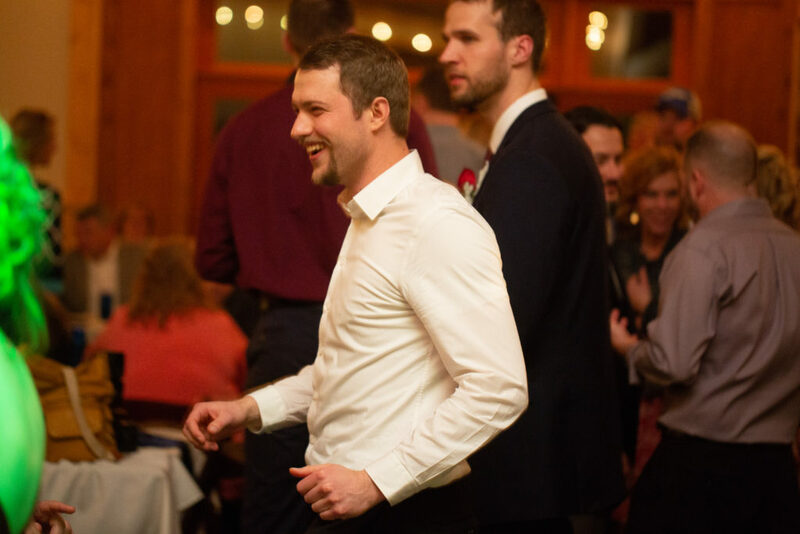 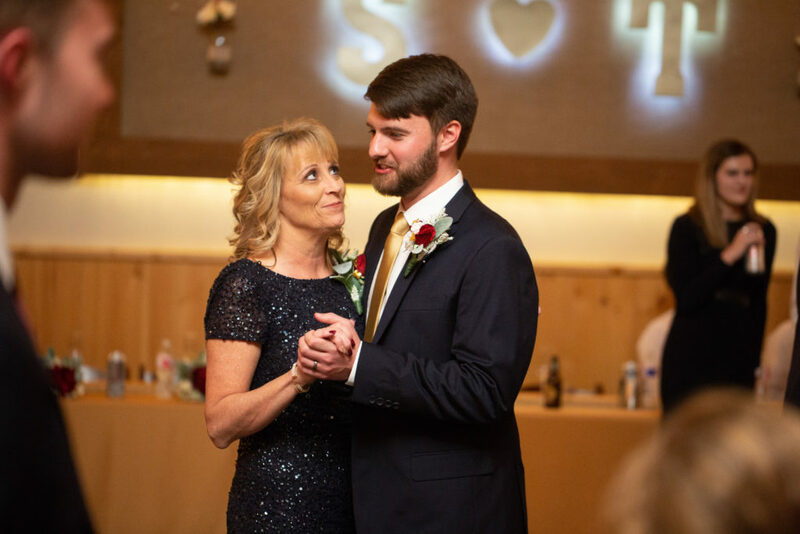 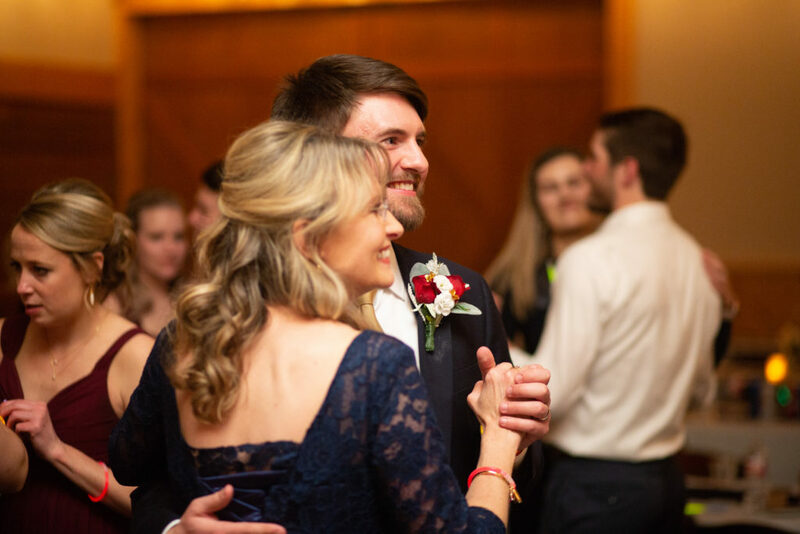 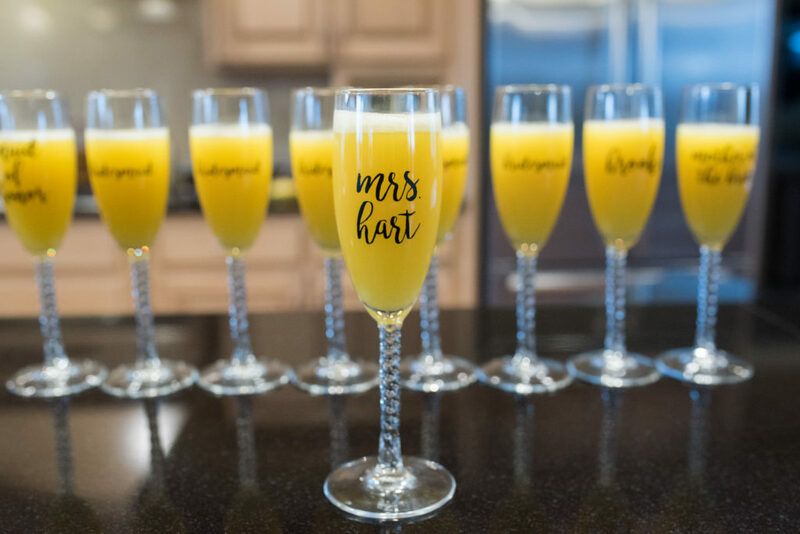 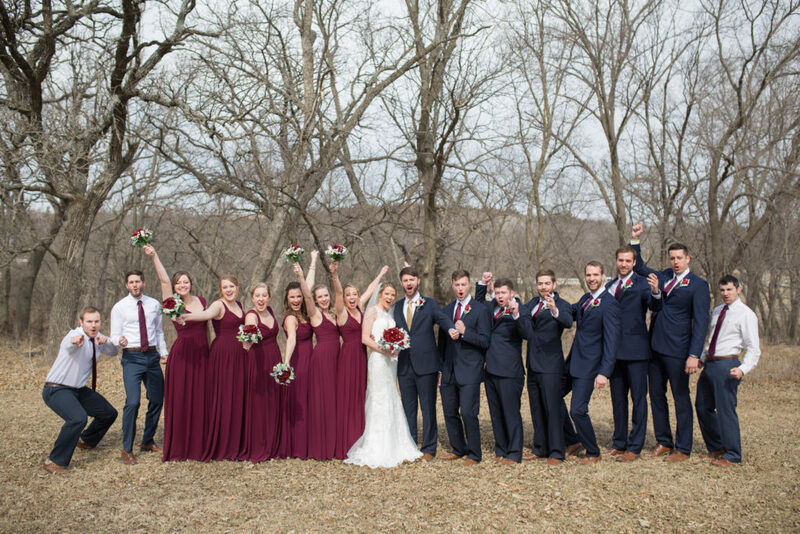 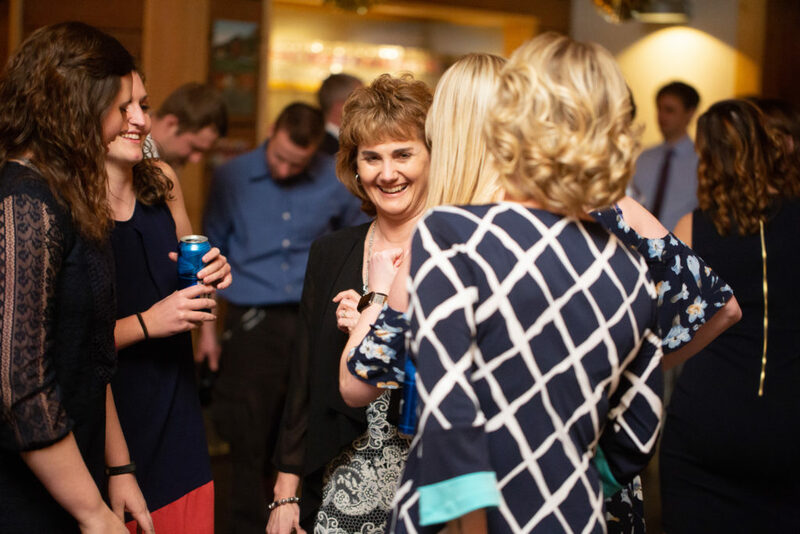 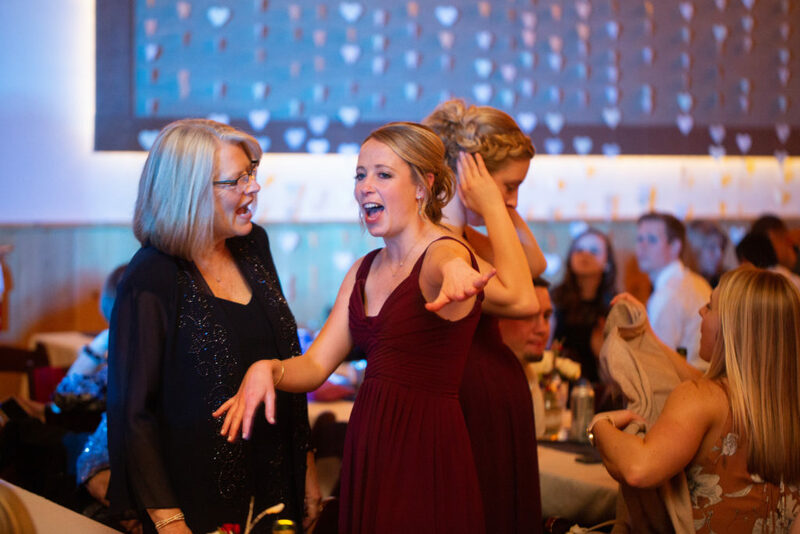 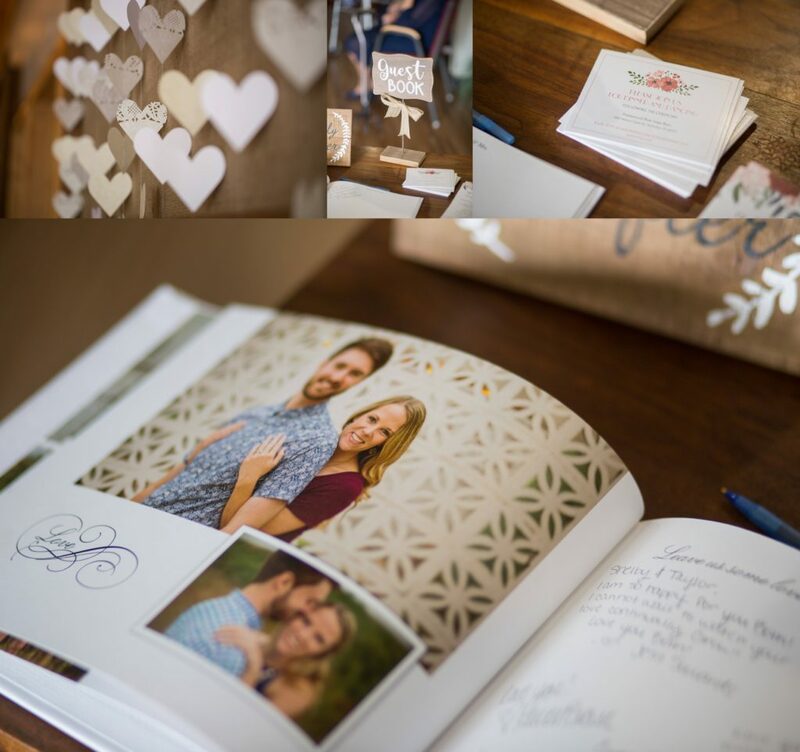 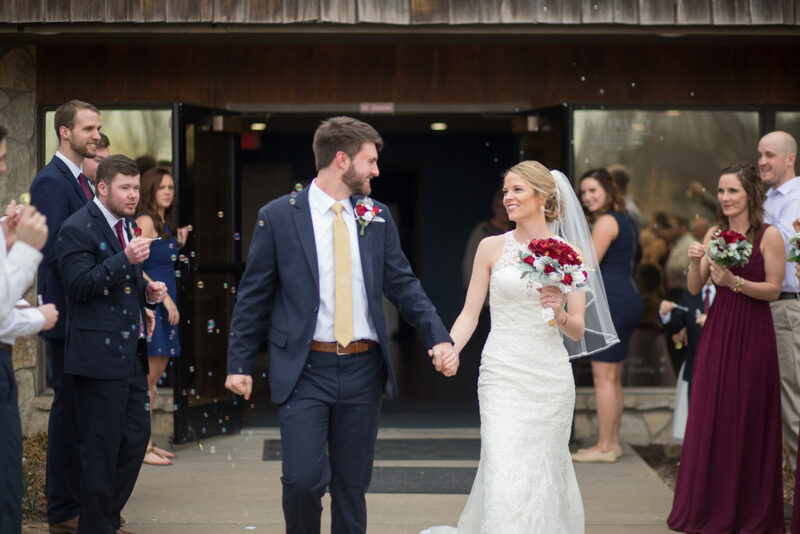 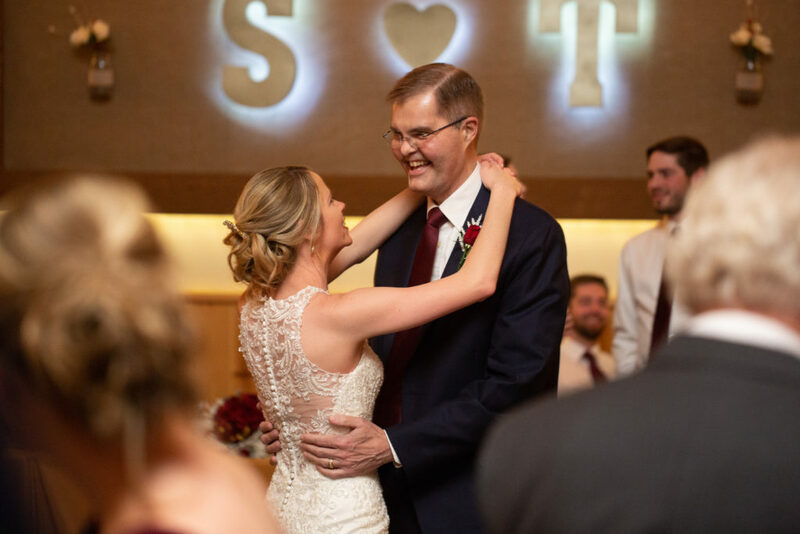 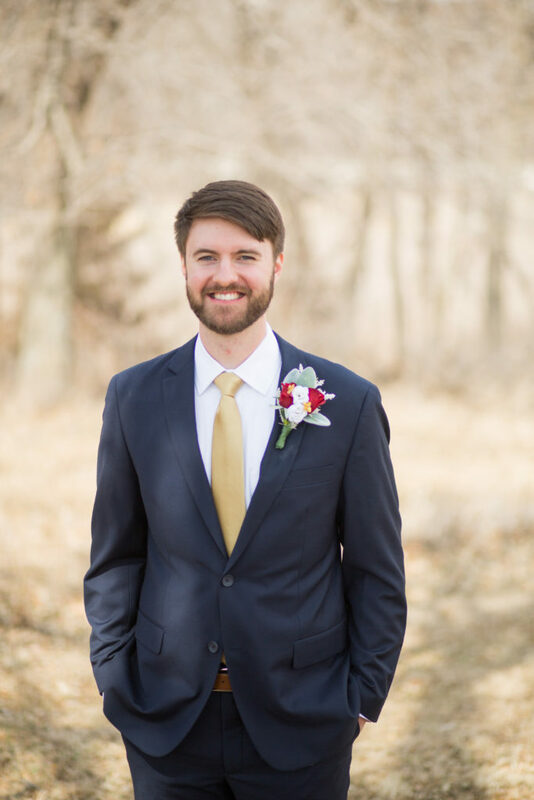 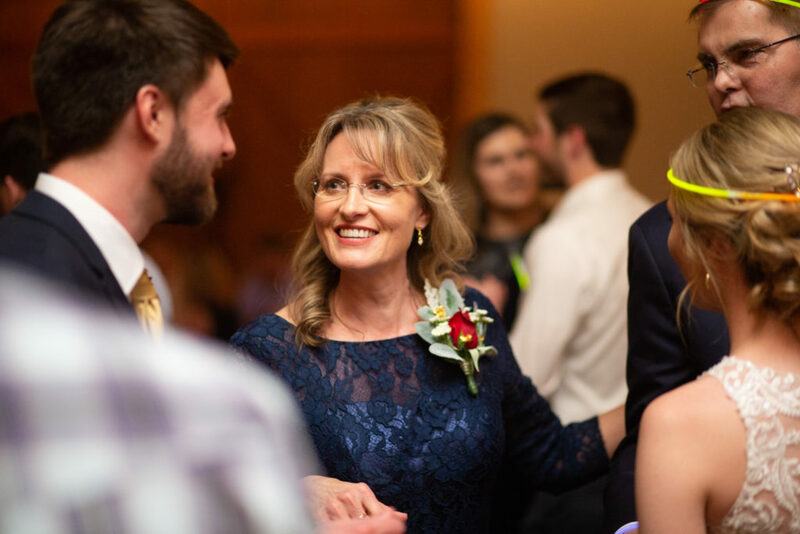 Although Mr. and Mrs. Hart were legally married on Oct. 28, 2017 due to a family illness, the official celebration took place with a wedding ceremony at University Christian Church in Manhattan, Kansas, with a reception following at Prairiewood at the Blue Sage Barn on March 10, 2018. 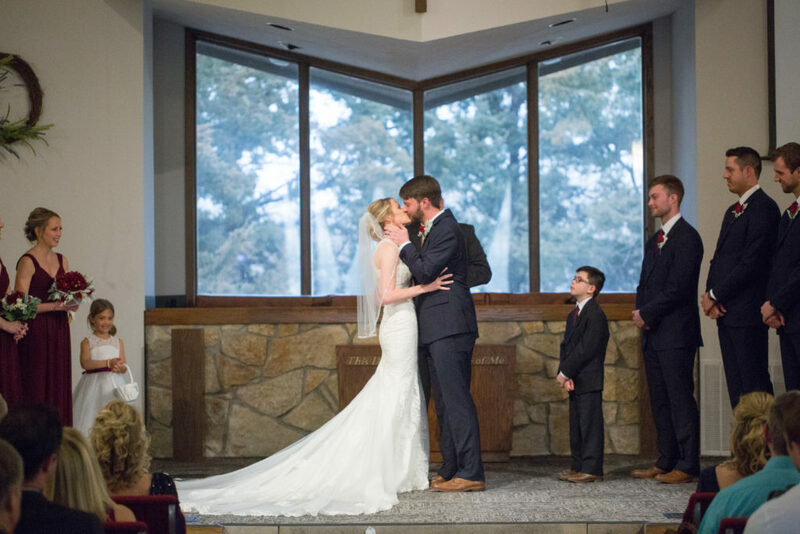 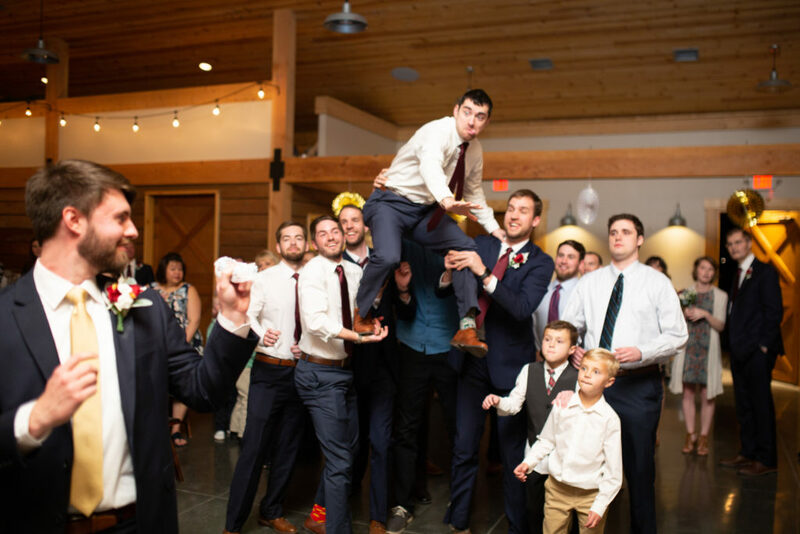 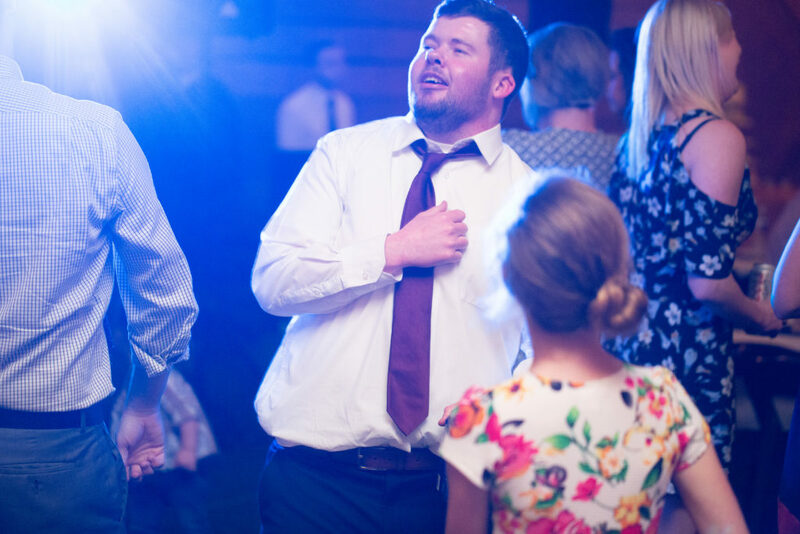 Following their beautiful Prairiewood wedding, the couple moved to Colorado so Taylor could complete his residency.